New in! Superb page from the epic, APOCALYPSE WAR ! Published in Prog 258, 3rd April 1982, with Dredd and his team of Judges in action agaianst Sov invaders! 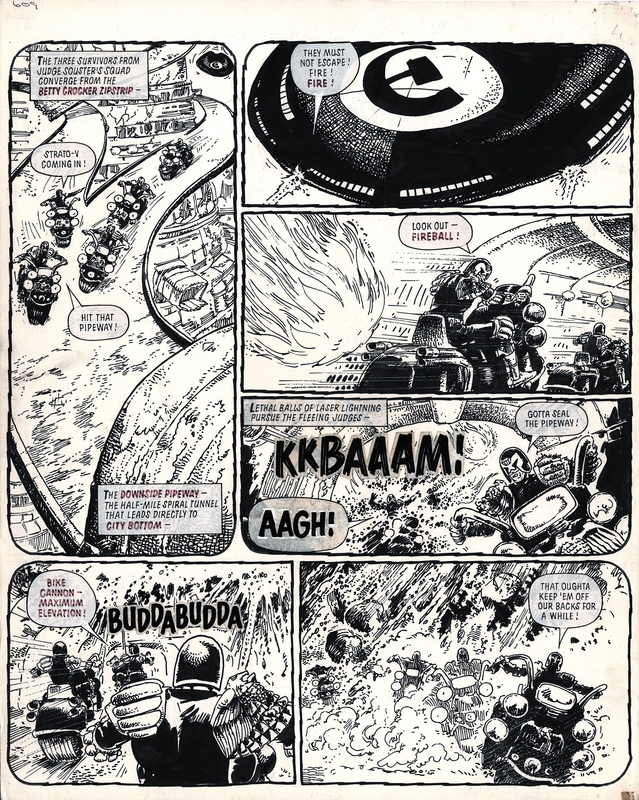 Classic Judge Dredd art at it's very best, from the character's creators themselves, Carlos Ezquerra and John Wagner.